Holidays are always a great time to enhance educational learning activities. Adding fun topics into school subjects makes them exciting, creative, and fresh! Lessons will be remembered far longer and more thoroughly when the students have enjoyed the learning process. All curriculum objectives may have a holiday spin to them with a little imagination. I would love to share a collection of ideas I have found to make the Valentine's season extra fun for students and teachers! Please share your ideas and resources below, also. Do you enjoy Valentine's Day? 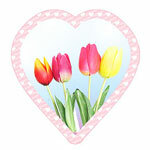 What type of Valentine's Day cards do you like to give to your loved ones? Homemade Valentine's are the best! Pre-made are so fun and easy to use! Presents are better than cards! 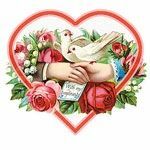 Do you know much about Saint Valentine? God's love is the GREATEST love! Do you know Him? Do you like to read special love stories near Valentine's Day? Have a favorite? Name below. Write some Candy Heart Stories using a candy heart saying as a starting block! 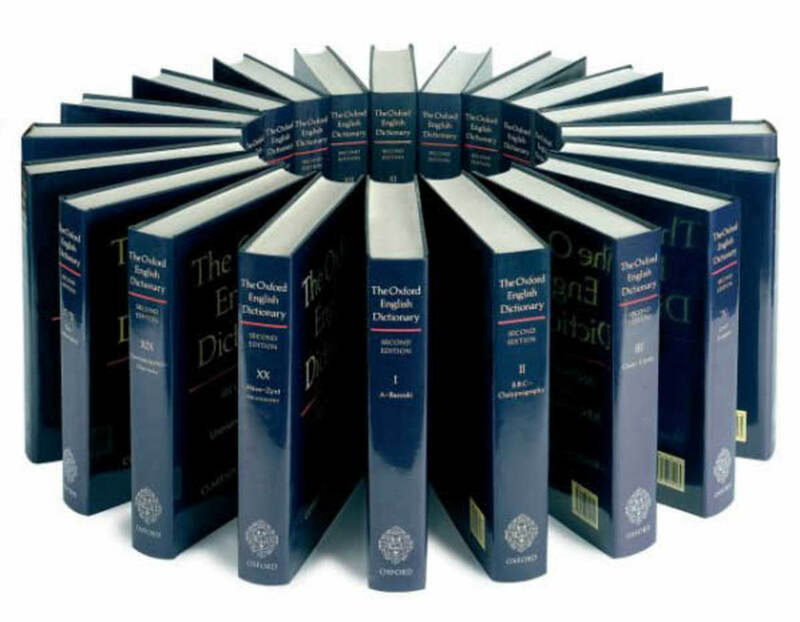 ~ True or False Vocabulary Sentences & Definitions. ~ Mama, Do You Love Me? ~ Mini Books to print out for reading, creative writing, and penmanship practice. 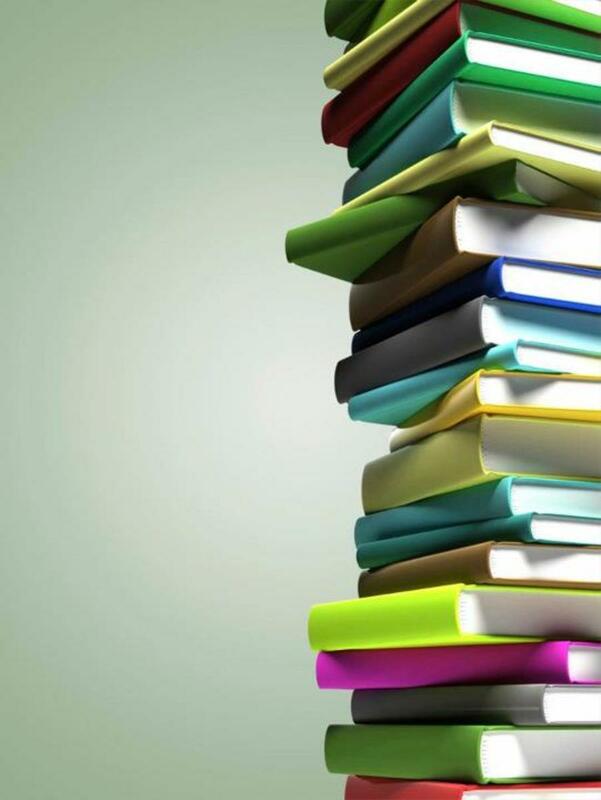 ~ Draw & Write pages for creative writing. Saint Valentine's Day Language Activities such as cute worksheets and flash cards may be custom created and printed for free at MES English!! 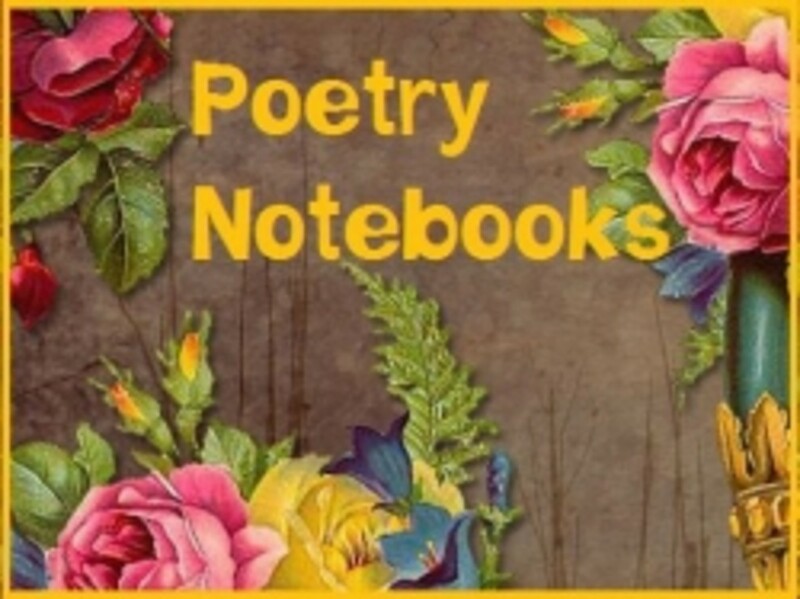 February Daily Journal Writing Prompts: Encourage young writers with topical vocabulary and fun holiday related writing prompts for the month of February! 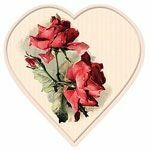 ABC Teach's Valentine's Section has worksheets for poetry, creative writing prompts, book making, word & vocabulary practice, crafts, reading, and reading comprehension along with a few for math, also. What is the best way to tell someone you love them? Do nice things for them! 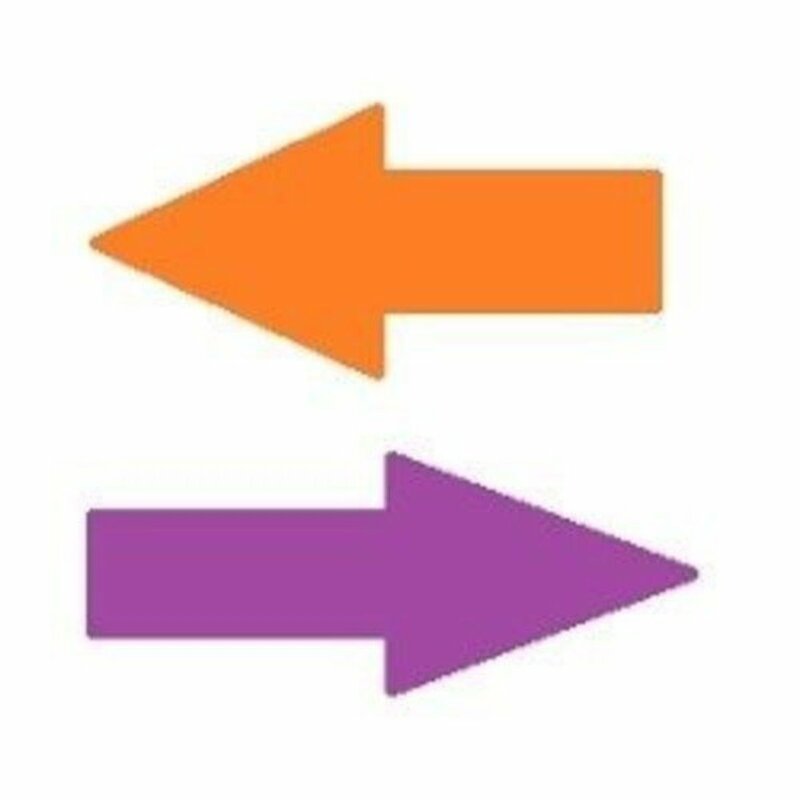 Other - leave a note below! "How do I love Thee? Let me count ..."
"How do I love Thee? Let me count the ways ... I love Thee to the depth and breadth of height my soul can reach." Make a counting / adding / subtracting / multiplication / division book with heart stickers or drawings: Divide and cut out plain sheets of paper into fourths. Give each students the desired number of pages and staple together. Students can create a mini book of whatever math concepts you are working on. Try some fun math ideas with candy hearts or other Valentine's candies! ~ Estimating: place a handful of candies in plastic bags or give each student a small box to estimate the total amount of candies, or have them guess how many they will find of each color. Answers may be graphed (see below). ~ Counting & Grouping: Examples: How many pink candies do you have? Put all the candies into groups of 4. ~ Comparing: Greater than and less than in colors, boxes, sizes, or "sayings". ~ Skip Counting: Examples: Place candies in groups of 3 and then count by 3's. ~ Addition & Subtraction: Ex - If Katie has 5 green candies and Matt has 6 yellow candies, how many do they have all together? ~ Multiplication & Division: Ex - Divide 20 candies into 4 group, now into 2 groups; how many in each group? Make 3 groups of 7 candies, how many do you have total? ~ Writing Mathematical Equations: Write down any equations they come up with. ~ Word Problems: Create a class word problem book with each student with each student writing their problem on a sheet of paper or drawing it if young children. ~ Graphing: Create a candy heart graph for activities. ~ Averaging: Ex - What was the average amount of candies per box? Per color? - Use several students findings. The Heart of Mathematical Thinking contains a lesson plan about candy heart weight measurement, a worksheet, and student data chart. Kidzone's Valentine's Day Themed Math Pages for grades 1-5 contain simple addition through decimals type worksheets along with word problems for solving. Many Valentine's Day Math Activities & Games involving mathematical processes, fractions, symmetry, problem solving, and other math concepts. ~ Grab the Candy - game to practice graphing coordinates. 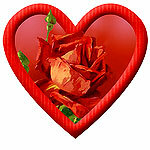 ~ Valentine Battleship - find heart candies on the other player's grid. ~ Colored Hearts: Can You Finish the Pattern? - create, identify, and continue patterns. ~ Pascal's Hearts - complete and extend the patterns in the triangle. ~ Heart Paths - combine letters and logic to follow the correct paths. ~ How Many Valentines? - problem solving skills. File Folder Fun has games for young children about patterns, colors, and shapes. ~ Heart Calendar Pieces: great for number games! Have a Heart! 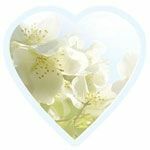 ~ Celebrate Valentine's Day Across the Curriculum, Straight from the Heart, and The Heart has some fantastic ideas for learning about the heart and circulatory system for grades K-12. The Healthy Heart Unit Studies from Teacher Planet include separate lesson plans for kindergarten through eighth grade. Each grade's PDF download includes 17 - 24 pages of lesson plans, student worksheets, activities, games, glossary, comprehension questions, and more. The Human Heart from the Franklin Science Institute: Learn a magnitude of information about the heart with this interactive website! 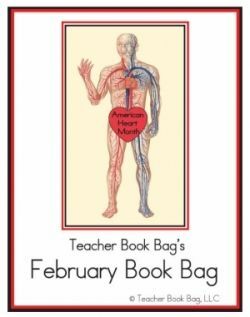 February Book Bag from Teacher Book Bag: This ebook has a grand collection of Valentine's and American Heart Month activities including cards, history, activities for math, science, language arts, literature, links, and creative writing for elementary and middle school grades. Materials for Groundhog's Day are contained in the book, also. ~ $2.50 at CurrClick! "Oh, my Love's like a red, red rose that's newly sprung in June." 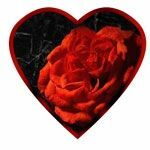 Why are the hearts we decorate with not the same shape as real human hearts? What do you mean? I thought they were the same shape. The curved flowing shape represents the blood in our circulatory system. What are you complaining about? At least most of them are red. Pamela, were you really tired when you typed this? Okay, I know this one and will tell you in the comment box! "O, my Love's like the melody, that's sweetly played in tune." 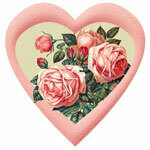 Valentine's Day Songs & Poems at Songs 4 Teachers contains info on the holiday, activities, and songs for grades K - 3. Activity Village has many fun things for kids to do that involve learning! 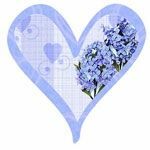 ~ crafts, coloring, cards, recipes, mazes, puzzles, word searches, crosswords, stationary, bookmarks, origami, cryptograms, suduko puzzles, games, worksheets, links, and jokes. Do playing cool educational games enhance learning? 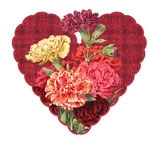 Try these Activities, Crafts and Cards for Valentine's Day from Enchanted Learning! Valentine's Day Learning Activities from Homeschool Helper. February Ideas & Patterns by ABC Schoolhouse contains math and science activities along with other fun activities - 15 page download. DLTK's Valentine's Day Activities have numerous ideas, crafts, coloring sheets, worksheets, games, cards, puzzles, poems, printables, recipes, and links! Valentine's Day Makes Learning Fun! has book lists, poems and stories, homemade Valentines and boxes, crafts and gifts, and Valentines themed foods! "My Fuzzy Wuzzy Valentine" at Virtual Vine has a complete Valentine's Day Unit chocked full of ideas in every area of learning plus a long list of links to find out more! Apples for the Teacher has some teaching suggestions for Valentine's Lesson. 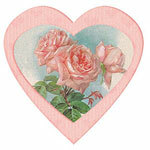 Enjoy Valentine's Day has links to several ideas for all subjects for Valentine's Day. Valentine's Activity Pages for early childhood from Christian Homeschool Hub. @EpicFarms: Thank you! Hope it helps my fellow homeschoolers and other educators! Wow ... there is certainly a lot to learn about Valentine's Day! Very fun and pretty lens. I enjoyed my visit. Happy Valentine's Day to you. What a wonderful teaching tool about the holiday. Good lens and quiz, keep it up. Excellent list of resources and fun polls. I had to book mark this one! Oh and I blessed it too! Thanks for including the Valentine's Day Tree Lens. I hope that the word gets out to teachers about this fun, community-based idea. @evelynsaenz1: You have many wonderful ideas on your adjective lens! Some great suggestions for teaching on Valentines Day! Thank you so much for adding my Adjective lens. love this. I'll be back to check it out and visit some of the sites. Thanks for all the great info. This would be great for our schooling.